Like Nami, Franky and Brook before him, Sanji’s lantern motivation comes from one the simplest character traits about him: he loves ladies. All of them I might add, in his field of vision. Though it is often played for comedic affect, as he gets turned down, acts goofy or has to deal with some unattractive admirers, its hard to deny that Sanji is actually quite passionate. He’s a chef who touts quite a bit of knowledge about his craft and understands, better than anyone, the importance of food. He won’t fight with his hands at risk of losing them, his passion and reason for being. He’s passionate about the crew (especially the ladies), his dreams of the All Blue and his mentor for giving him life. He is a romantic and a lover of loving love and thats why he fits into the Star Sapphire’s. I think if you are out looking for love, a suit is the way to go guys. You look composed, thoughtful and all together powerful in the face of any challenge. Sanji knows this; he owns the suit. 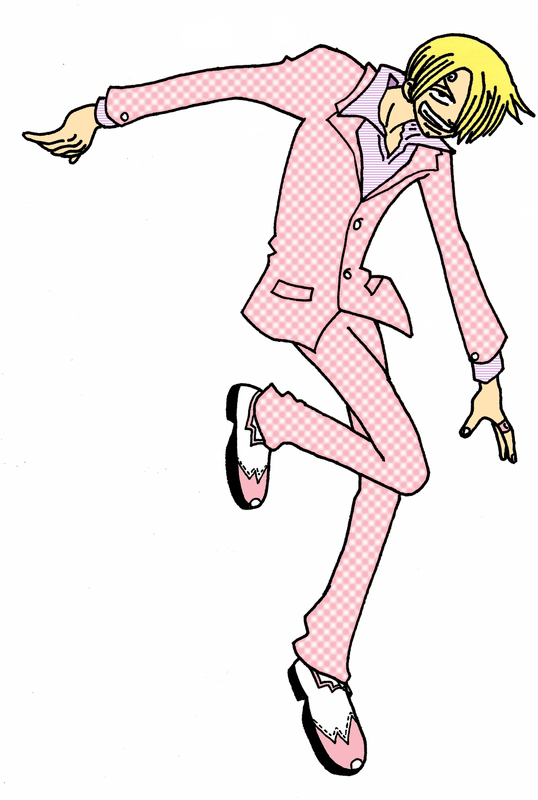 So it made sense to just work with the idea of a pink suit, playing to his sensitive and understanding nature. Pink is romantic and charming. Pink conveys a playfulness about someone. Tags: Arms, Blackest Night, Brightest Day, Carol Ferris, Cooking, DC, DC Comics, Desire, Feet, Fighting with your Feet, Fingers, Green Lantern, Hal Jordan, Hands, Intimacy, Ladies, Ladykiller, Lots of Fingers, Love, Mentors, One Piece, Passion, Romance, Sanji, Star Sapphire, Violet, Viz, VIZ Media, VIZ Media LLC, You are turning violet violet! Sam you are a genius with this idea for doing this. Never in my wildest dreams would I have thought of this. Awesome.